Switzerland is one of the world's most popular safe-haven investment destinations. From its political neutrality to its banking secrecy, the country has a reputation for protecting valuables. But its strong economy, low national debt, low inflation, and low unemployment make it a relatively safe investment destination in its own right. Despite this popularity, investors should be aware of a few key risks. The country's safe-haven status is no secret, which means that Swiss francs and securities can rapidly become overvalued during times of crisis. In fact, these actions can even lead to dramatic actions by the country's central bank, like it's 2012 decision to tie the franc's value to the euro to curb its rise. The last and most difficult option for investing in Switzerland is purchasing stocks directly on one of Switzerland's two main stock exchanges. The SIX Swiss Exchange is the country's largest exchange and home to most of the largest stocks, while the Berne eXchange caters to small and medium-sized companies, much like the AMEX or OTC Markets in the U.S.
Investors can find the 20 largest Swiss companies in the Swiss Market Index (SMI), which include companies like Credit Suisse (CSGN), Swiss Re (SREN) and UBS (UBSN) in addition to the three large ADRs listed in the previous section. 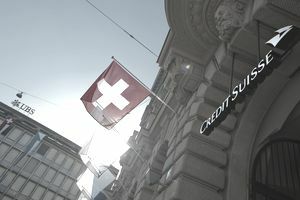 Popular companies on the Berne eXchange include The Swatch Group, the world's largest watchmaker, and Valiant, a major Swiss regional bank. When it comes to purchasing stocks on Swiss stock exchanges, there are some U.S. brokers that allow international trading on the stock exchanges, but others may be forced to open a separate brokerage account within the country. Investors should also be mindful of potential foreign taxes on their dividends and capital gains in certain cases. Switzerland has become one of the world's most popular safe-haven investment destinations, but that popularity can sometimes lead to its currency and securities being overvalued during times of crisis. The easiest way to invest in Switzerland is through the use of exchange-traded funds (ETFs), which enable investors to easily purchase a broad basket of assets in a single security. American Depository Receipts (ADRs) offer investors another easy way to invest in Switzerland by purchasing individual company stocks trading on U.S. exchanges. The last and most difficult option for investing in Switzerland is purchasing stocks directly on one of Switzerland's two main stock exchanges.